FMT Advisory believes oil needs to begin to rise materially no later than by the end of the first or second quarter of 2017, or else the world will be sleepwalking into a major oil supply shock. In 1973’s oil supply shock, oil increased from $3 a barrel to $12 a barrel by the end of 1974. Those that were prepared for the oil shock had tremendous success. Our base case is that oil will continue to be “noisy” between now and May of 2016, but a bottom will be found in the spot price in this time frame. Our base case believes oil will remain “noisy” in the next few months because of the seasonal build in storage facilities. However, investors should view this “noise” as opportunistic entry points, because the excess worldwide margin of safety has rarely been this narrow. We also believe that at some point soon, the Federal Reserve will be praying for higher oil prices. And like buying banks in 2009, the Fed could have investors’ backs in the energy markets. The Fed has maintained that lower energy prices are “transitory” to collapsing inflation expectations. To save face, the Fed needs higher oil prices in light of their interest rate increase. The Fed, through its Citadel connections, could very well end up ramping oil futures to get high-frequency traders to begin a momentum trade. 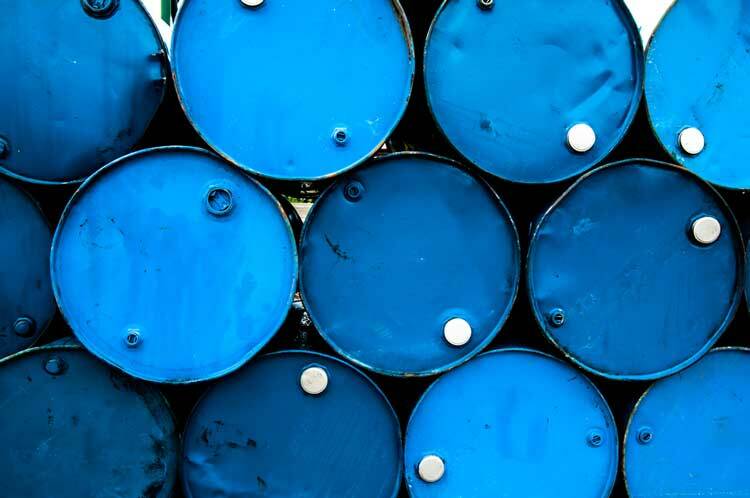 However, the Fed is likely waiting for the fundamentals of oil to take hold before any preemptive measures are taken – and the physical oil markets may very well give the Fed exactly what they need, and perhaps far too much of it. After exhaustive research, FMT Advisory believes future oil prices are nearly certain to move higher and oil is either going to start rising rather consistently over the next year (perhaps after the seasonal build period), or will have enormous price spikes in 2017 and beyond if it doesn’t, very similar to the 1970’s oil shock. This is going to have portfolio-moving repercussions, in FMT Advisory’s opinion. 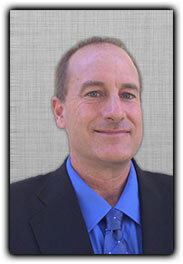 As an experienced advisor, we rarely make large market calls, since we are primarily bottom-up focused investors. However, only occasionally have we made large market calls. In the bottom of 2009, we suggested investors pour as much money as they could stomach into the stock market. In 2010, we felt real estate was a bargain nearly across the board. In both periods, fear, panic, and general disarray were prevalent – conditions similar to the energy market today. There is a widely-held precept that we have an oil glut that could last a long time. George Soros once said the way to make money is to find a widely-held belief that is wrong. FMT Advisory believes math and physics trump opinion. And our research indicates that unless oil begins to move within the next year, the world will be sleepwalking into an oil supply shocker. When energy ultimately moves, we believe other assets – such as silver (if it hasn’t already started moving) and some companies being thrown out with the bathwater, because of currency exposure outside the United States – are going to provide investors enormous portfolio gains in the next few years as well. Rising energy prices would go a long way to help shore up many international currencies. FMT Advisory doesn’t want your eyes to glaze over with financial jargon and energy metrics, but some background is necessary. OPEC is already operating at close to peak production in this cycle. The shale industry is in disarray, and United States production has already had a substantial decline from a peak of 9.6 million bopd to 9.0 bopd, and still declining. With over $200 billion in planned capital expenditure cuts in names across the board, and the CADR effect (more on this in a moment) gaining enormous momentum, along with excess capacity being marginal at best, the world is asleep at the wheel. FMT Advisory spends more time on research than almost any other firm on earth. And we want you to pay attention to something very important. Anytime you find anyone, anywhere in the world discussing oil’s supply and demand metrics, pay attention to whether or not they discuss one of the most important data points on oil production: the “decline rate,” or the “CADR,” meaning the “Compound Average Decline Rate.” No. This metric isn’t about “peak oil.” It’s about the natural decline rate of a well once it is producing and ultimately how much net-newwell production will be needed to replace the CADR effect. The effects of CADR are almost entirely missing in nearly every single discussion on oil nearly everywhere on earth – and discussions are replaced with infantile opinions. CADR, or the Compound Average Decline Rate, is calculated by OPEC, EIA, and the IEA, among other industry stalwarts such as ExxonMobil. What is important to note is that the $200 + billion in planned capital expenditure cuts are speeding up the erosion in ongoing oil supplies, along with the natural decline rate of CADR, because projects get canceled, put on hold, and oil wells get shut in. According to the base case of OPEC, EIA, and the IEA, the CADR decline rate of roughly 5.8% equates to a necessary 5.8 million bopd in brand new oil production from new sources in 2016 just to replace the existing decline rates. This doesn’t factor in the $200 + billion in cap-ex cuts planned industry-wide over 2016-2017. This represents another 4.75 to 5.5m bopd that isn’t going to happen. This is 10 to 11m bopd in the next year that isn’t going to happen in a market with excess supply production down to less than a 1.5m bopd. Houston, if oil doesn’t start heading higher over the next year, we have a problem (and an opportunity for those paying attention!). (95.0M bopd x 5.8% CADR) + (.06M bopd in non-OPEC) + change in call on OPEC = 1.25 million. This means, ladies and gentleman, even if ALL spare capacity were used to cover the shortfall of demand over supply over the next year, given the CADR effect and industry-wide capital expenditure cuts, we are going to run into an oil supply problem! Of course, that is, unless oil starts to head higher over the next year or so! No wonder the Fed believes that oil prices on low inflation are only “transitory.” In this light, the Fed might have been afraid to death of having to raise rates in a rapid-fire blitz to try to contain what may end up being significant price inflation, thanks to oil, over the next year. FMT Advisory recommends scaling in for now in the energy complex. However, time will be of the essence, in our view, within the next six months to get more committed. For accounts under 200k, waiting is just fine. We believe that real assets today have become cheap, and nothing is more real than oil – which greases the world’s economies. It is getting to the point and time that the price of oil will be life or death for the Fed, and governments around the world. Tick, tock.